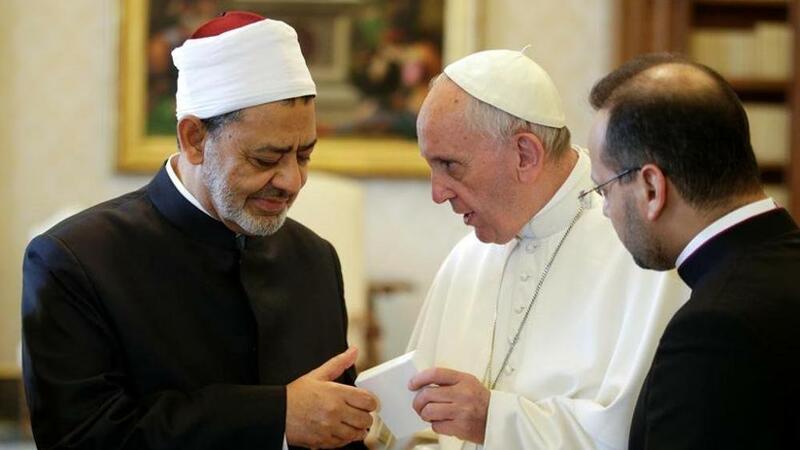 It is the first time a Pope has met with the Muslim Council of Elders. 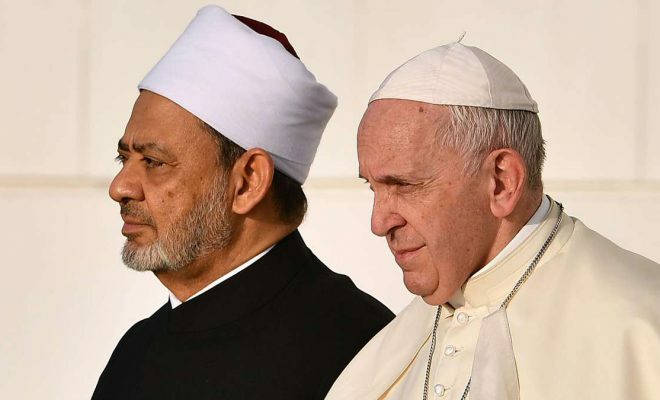 Dr. Ahmed el-Tayeb, the Grand Imam of Al-Azhar and Chairman of the Muslim Council of Elders, and Pope Francis, the Head of the Catholic Church and Sovereign of the Vatican City, both attended a meeting today of the Council. 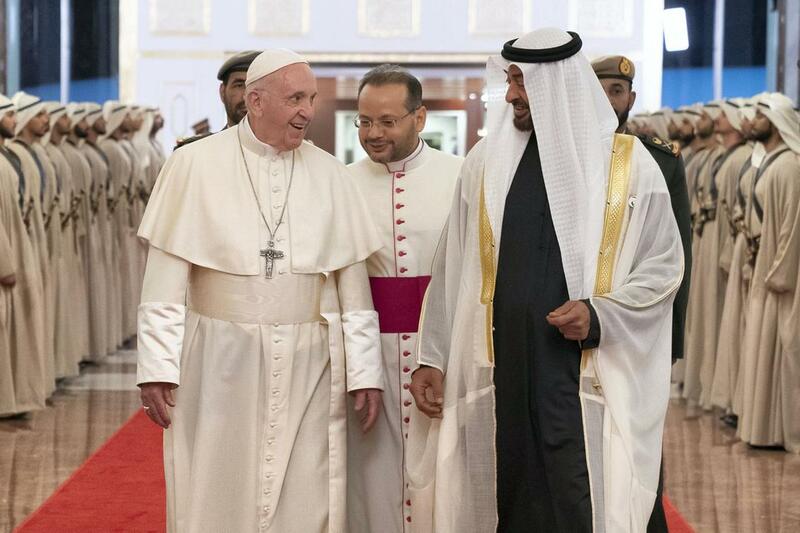 The meeting, held at Sheikh Zayed Grand Mosque, marks the first time a Pope has met with the Muslim Council of Elders, and reinforces the UAE’s commitment to encouraging open inter-faith dialogue. It also demonstrates the shared commitment to closer relations and open discussions between two of the world’s largest religious groups with the discussions taking place as part of the broader Human Fraternity Meeting. 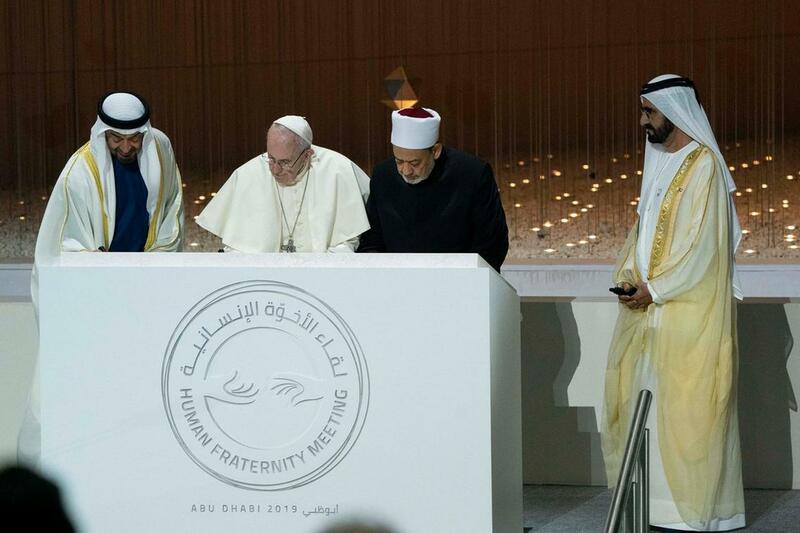 The Papal visit coincides with the Global Conference of Human Fraternity, hosted by the Muslim Council of Elders that began yesterday, attracting 700 religious leaders, thinkers and multi-faith representatives. Attendees include Sudhindra Kulkarani, Chairman of India’s Observer Research Foundation in Mumbai; Dr. William Vendley, Secretary General of the World Conference of Religions for Peace; Rabbi Michael Schudrich, Chief Rabbi of Poland, and Rev. Marie Sol Villalon, Pastor of the United Methodist Church. A range of topics relating to the concept of human fraternity are being discussed, including how religious values can assist in combating extremism, analysing the roles and responsibilities between international and humanitarian organisations and the role of religious organisations in reviving the value of human goodness. 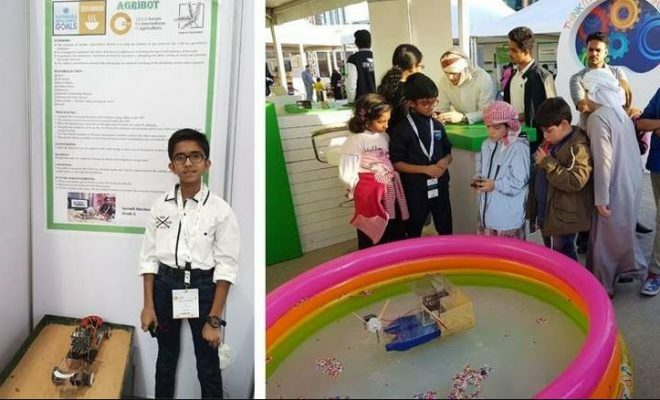 Dr. Sultan Al Remeithi, General Secretary of the Muslim Council of Elders, said that the impact of the Conference was already positive even before it began as its message of Human Fraternity began to resonate around the world ahead of the gathering of global representatives from 12 religions. The Muslim Council of Elders was established in 2014 as a global organisation and is the first independent body of its kind established to promote peace and address the issues of conflict in Muslim communities. 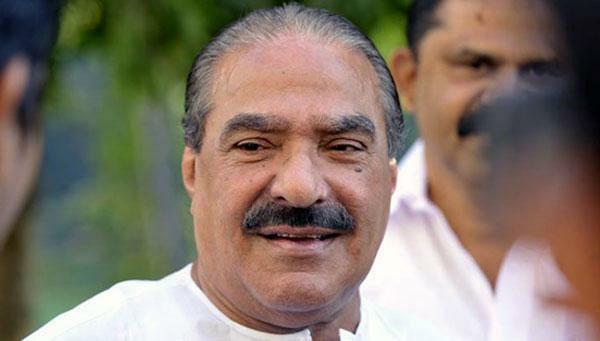 It is led by His Eminence the Grand Imam of Al Azhar. 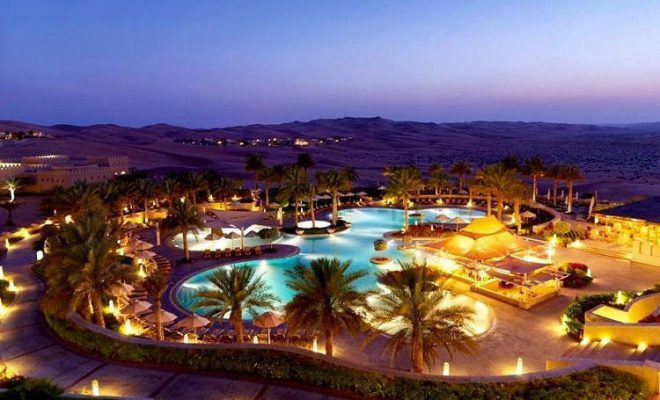 The joint visit to the United Arab Emirates of the Grand Imam and Pope Francis comes during the UAE’s Year of Tolerance. The country has a long and proud history of inter-faith dialogue, with the first Catholic Church established in Abu Dhabi in 1965. Archaeologists have also found the remains of a church and monastery on Sir Bani Yas Island dating back to the 7th Century. Today there are a total of 76 churches and other places of worship in the UAE and the government has also donated land for the development of new places of worship within the country.